Prosecutors alleged during the detention hearing that 18-year-old Andreas Erazo admitted to killing Abbiegail Smith during a nine-hour interrogation with detectives. Brian Thompson reports. An 18-year-old New Jersey man charged with sexually assaulting and killing his 11-year-old neighbor has pleaded not guilty. Andreas Erazo entered the plea Monday during a brief court hearing. Erazo is charged in the death of Abbiegail Smith. She was reported missing July 12, and her body was found the next morning wrapped in a comforter near the apartment building where both lived in Keansburg. 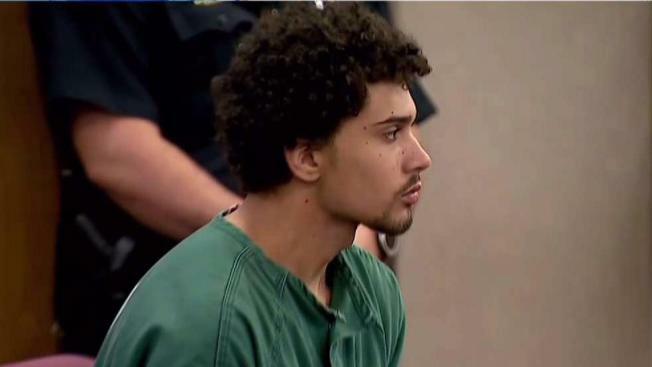 Monmouth County prosecutors have said Erazo admitted stabbing the girl and binding her with a computer cord. But a public defender representing him has disputed those claims. Erazo is charged with murder, felony murder, three counts of aggravated sexual assault and two weapons offenses. He faces a possible sentence of life with no chance for parole if he's convicted.